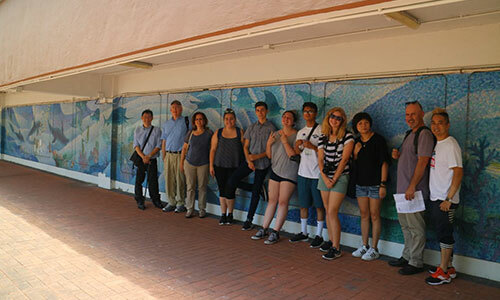 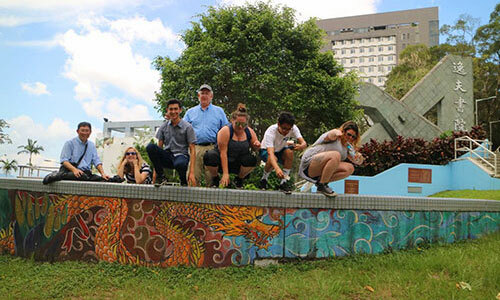 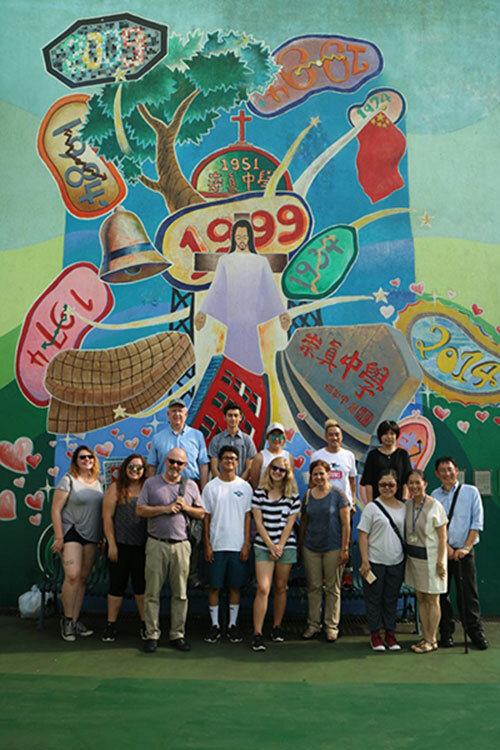 We have just given a 1.5-day guided mural tour about the selected school and estate murals done by HKMS to 9 faculty and students of Whittier College, California, in June 2017. 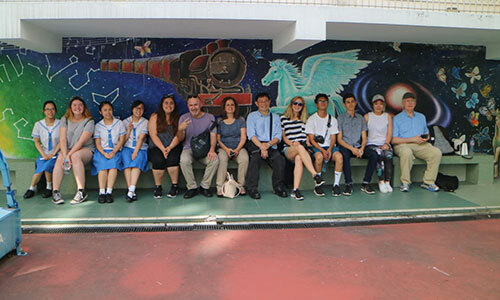 We are grateful to Whittier College for their donation to HKMS in organizing this meaningful cultural exchange activity. 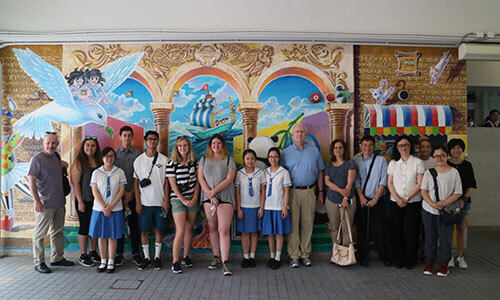 The following pictures showcase some of the murals we have visited: Holy Trinity College (2 murals), Belilios Public School, Shaw College of the Chinese University of Hong Kong, Lek Yuen Estate, and Sai Kung Sung Tsun Catholic School. 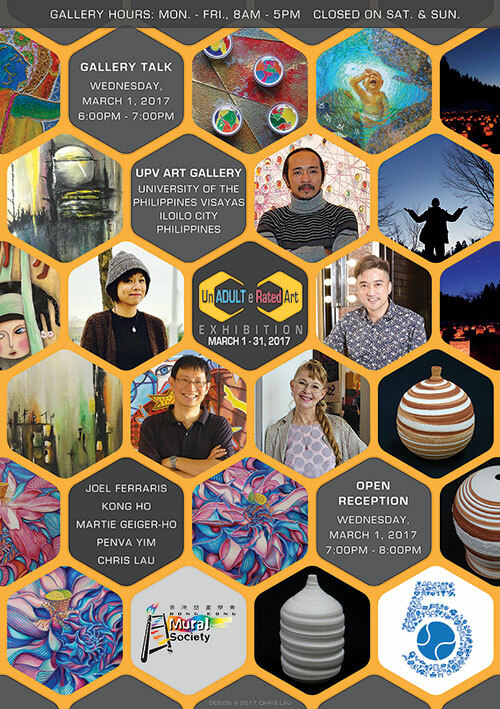 Our 2nd HKMS group exhibition, UnAdulteRated Art Exhibition, at UPV Art Gallery, Univesity of the Philippines Visayas, in Iloilo City, Philippines in March 2017, was another well-received exhibition. 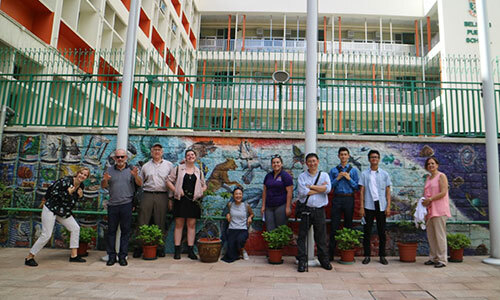 For more information about the exhibition, please check out the Exhibitions webpage.